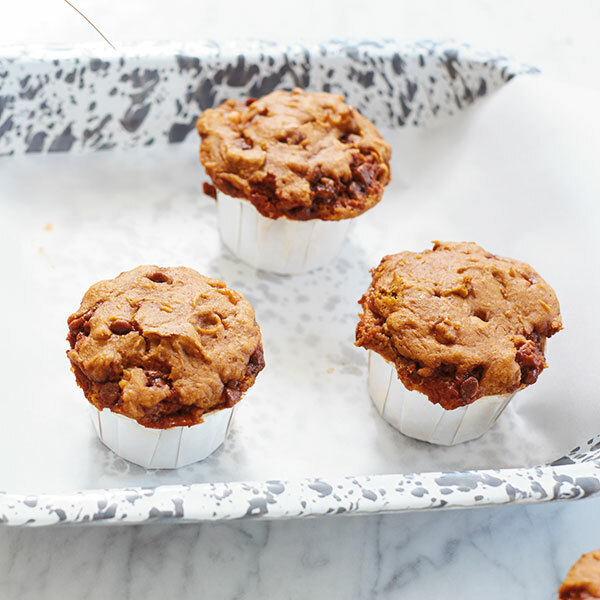 Butterscotch and cinnamon chips are the key to this simple Pumpkin Muffin recipe. These deliciously different pumpkin muffins are made from a boxed spice cake mix and only four other ingredients. In just a few minutes, you can create Pumpkin Muffins that will delight your friends and family. Preheat oven to 350°F. Grease 2, 12 cup muffin pans or line with paper liners. In a large bowl, mix together cake mix, pumpkin and applesauce until smooth. Blend in chips. Spoon equal amounts of batter into the prepared muffin cups. Bake for 20 to 25 minutes until toothpick inserted in center of one comes out clean.